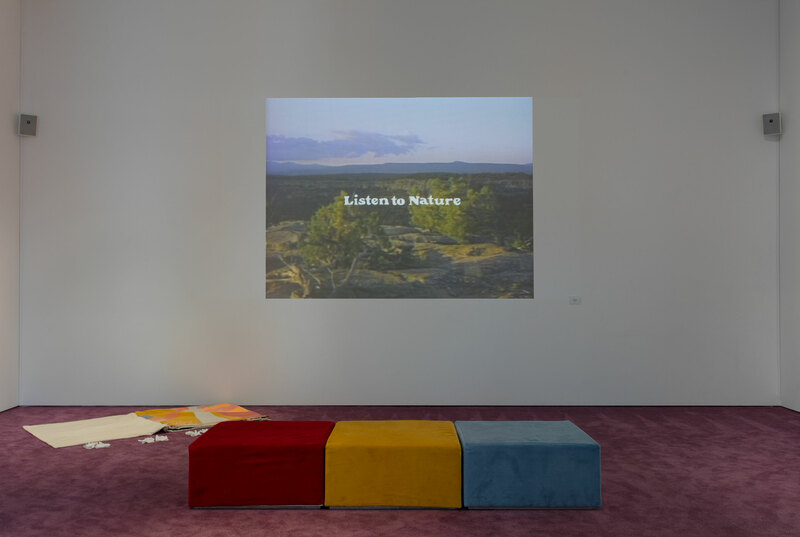 The imaginary educational institute and retreat center created by Jade Gordon and Megan Whitmarsh for Made in L.A. 2018 consists of videos, sculptures, a publication, and events intended to provoke transformation and self-discovery. 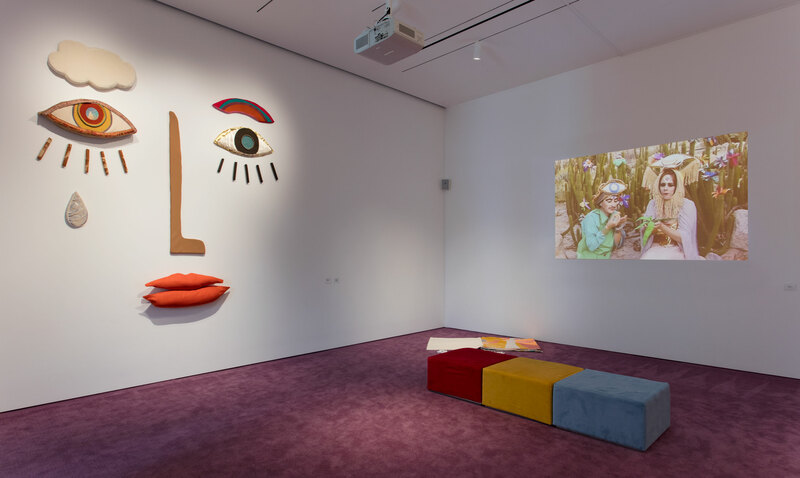 In their collaborative practice, Gordon and Whitmarsh enact subjects such as New Age alternative therapies, 1970s feminist speculative science fiction, and experimental theater and movement practices, often using humor to address themes pertaining to aging, consumerism, and time travel. 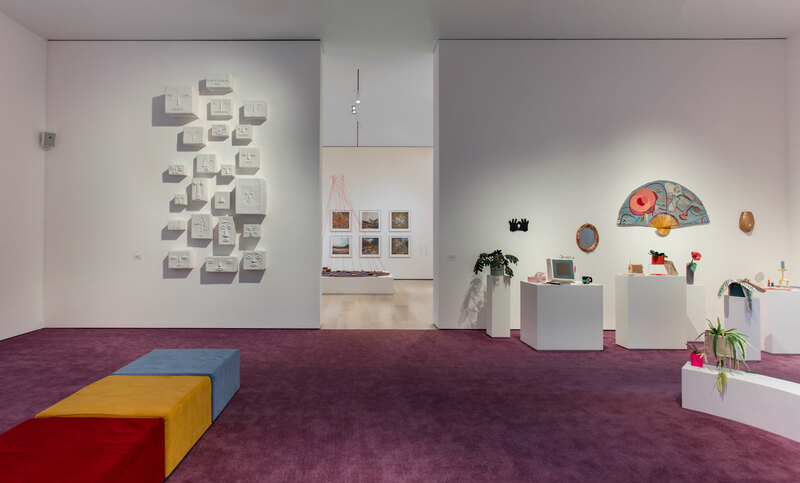 Their work fosters engagement with the group, rather than focusing on the individual, in an effort to flatten hierarchies and question singular authorship while transforming the gallery into a space for dialogue and thoughtful participation. OURCHETYPES invites viewers to explore nine stations, which are representative of archetypes invented by Gordon and Whitmarsh. The stations incorporate videos, masks, and soft sculptures that encourage interaction and reflection. The “ourchetypes” represent a range of topics relevant to contemporary life, including how to be an adult, how to attain happiness, and how to “get ahead and be successful.” One of the core components of the work is a video that stitches together new performances and found footage. It is organized into nine short chapters that offer paths of self-exploration through familiar forms, such as medical office videos, guided meditations, New Age testimonials, and advertisements. Another short video in the installation, Elsewhen, is set in a 1970s version of the Victorian era and explores the dilemmas of a woman hampered by societal constraints. Garden of Nede is a reverse Garden of Eden story set in the future, where woman saves man with the help of an animal. The Open Door and New Developments, Inc. center on a conversation between two women who contemplate the notion of “awakening,” menopausal self-discovery, and the concept of the wise woman. Events, workshops, and performances conceived by Gordon and Whitmarsh take place throughout the exhibition. Jade Gordon (b. 1975, Santa Rosa, California) works in the Glassell Park neighborhood of Los Angeles. Gordon is a founding member of the Los Angeles collective My Barbarian, with Malik Gaines and Alexandro Segade. She received her BA in theater, in 2008, and MA in applied theater, in 2011, from University of Southern California. My Barbarian has exhibited and performed at numerous institutions, including the New Museum, New York (2016); Los Angeles County Museum of Art (2015); Whitney Museum of American Art, New York (2014); San Francisco Museum of Modern Art (2012); Museum of Modern Art, New York (2012); Hirshhorn Museum and Sculpture Garden, Washington, DC (2012); and Hammer Museum, Los Angeles (2011). 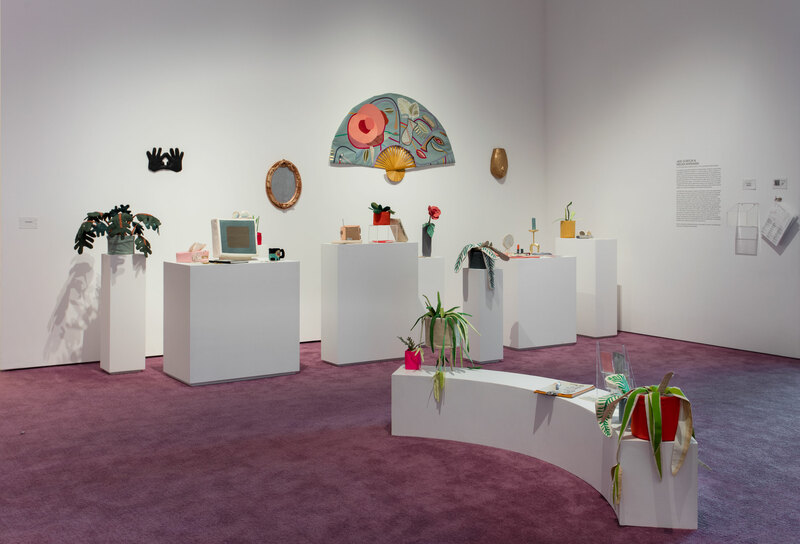 The collective has also received awards from the United States Artists Fellowship (2018), Foundation for Contemporary Arts (2013), Creative Capital Grant (2012), City of Los Angeles, Department of Cultural Affairs (2009), and Art Matters (2008). 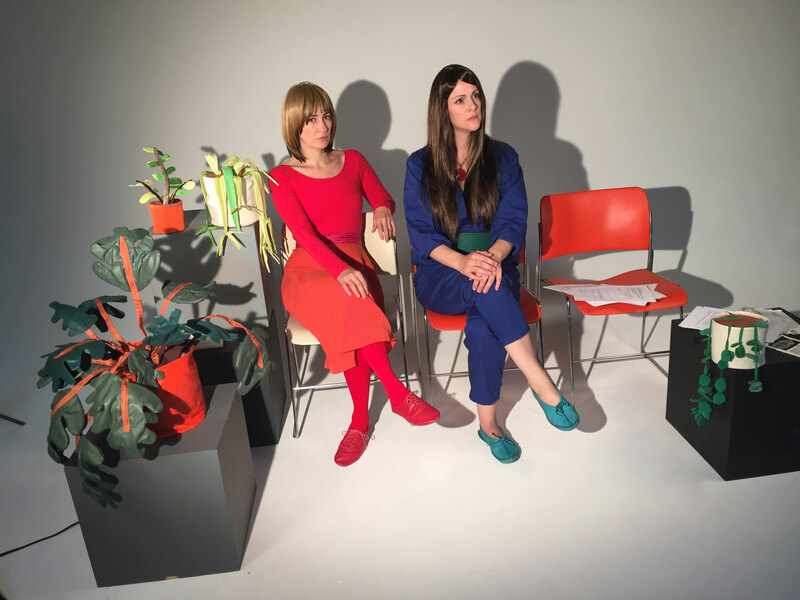 Gordon also collaborates with Megan Whitmarsh, and the two have performed and exhibited at Human Resources, Los Angeles (2017). Megan Whitmarsh (b. 1972, Cambridge, Massachusetts) works in the Highland Park neighborhood of Los Angeles. Whitmarsh received her BFA from Kansas City Art Institute, in 1993, and MFA from University of New Orleans, in 1997. She also attended the Yale Summer School of Art in 1992. Her work has been exhibited at Human Resources, Los Angeles (2015); New Image Art, Los Angeles (2012, 2009); Museum of Design, Zurich (2011); Elaine Levy Project, Brussels (2011, 2006); Riverside Art Museum, California (2009); and Ulrich Museum of Art, Wichita (2006), among others. She has had residencies at The Watermill Center (2011) and Kling & Bang (2005).